Playing again today, now yall got me thinking! Yeah, after I saw you'd beat my time I'm pretty sure whoever wins will be under 3:15. Maybe more than one person. As for the top speed I think the only place to get high is in the final stretch, I swear I've done 128 there. I played for about 2 hours yesterday. Never did get past the second checkpoint without a huge crash and a reset. I bet 3:14 is possible. If traffic and police allow. So I didn't shave off any time, but I did get my car up to 125 mph (I was having an amazing run, then I got arrested). 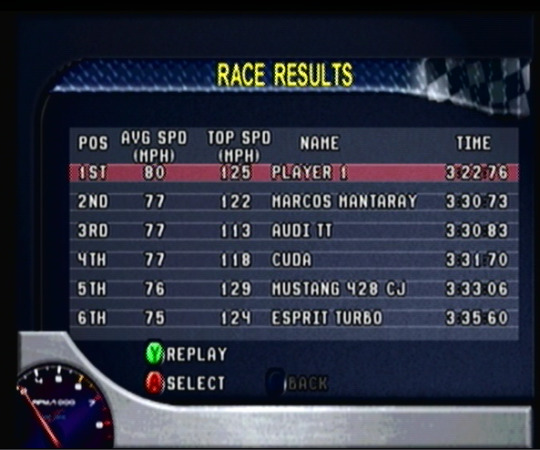 lastcallgames wrote: So I didn't shave off any time, but I did get my car up to 125 mph (I was having an amazing run, then I got arrested). Good game guys! Be sure to vote for the next game if you haven't already!